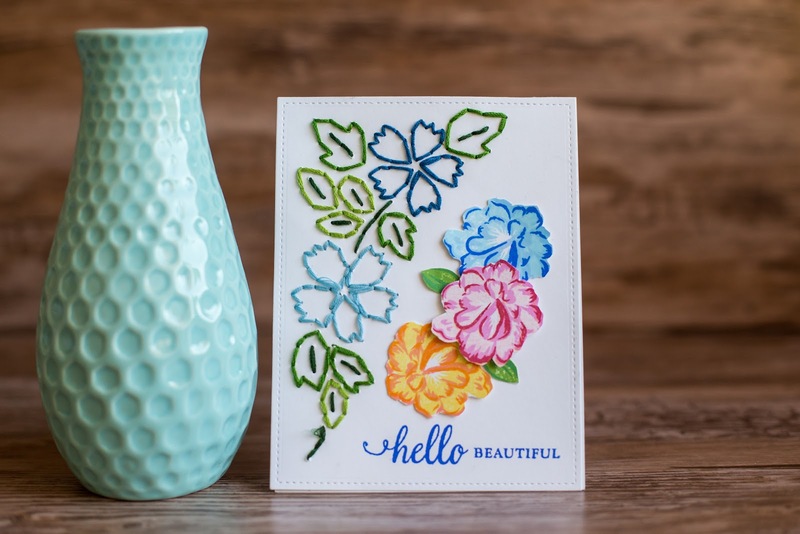 The Wednesday challenge on the Simon Says Stamp is Fabulous Floral and featuring Hero Arts. I used the awesome Hero Arts layering stamps to create those layered flowers on the right and then I used We R Sew Easy templates to stitch the flowers on the left. Stamp layering is really easy to do with the MISTI because you can get perfectly aligned placement every time. To create the basic faux stitched card panel I used the Lawn Fawn Large Stitched Rectangle dies and ran it through my Sizzix.